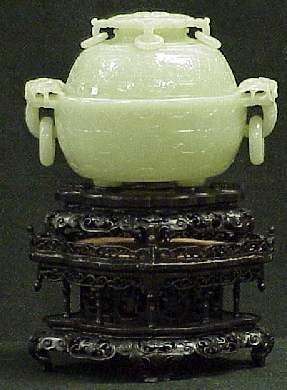 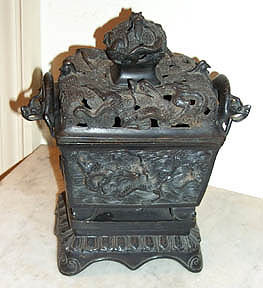 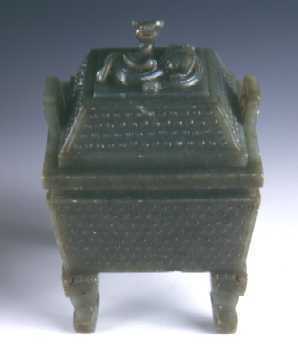 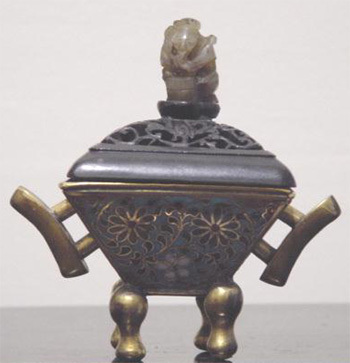 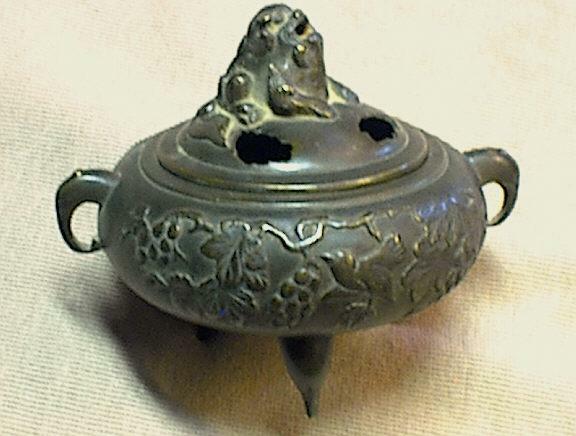 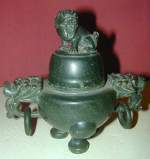 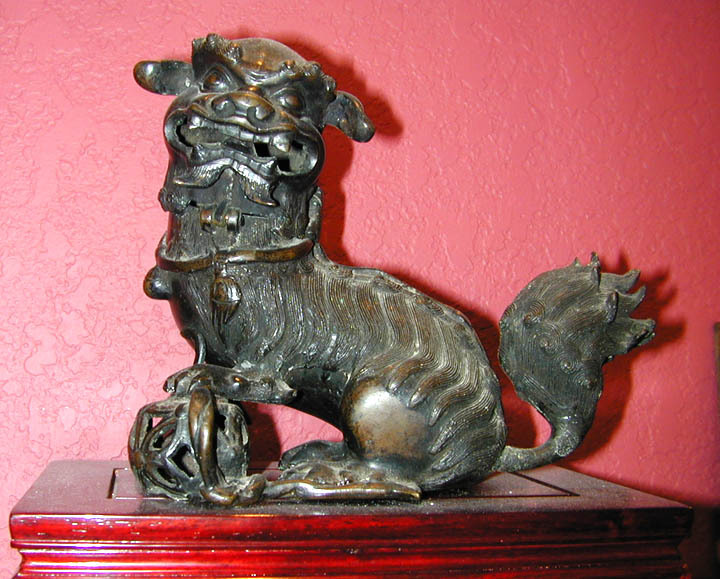 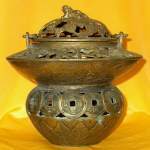 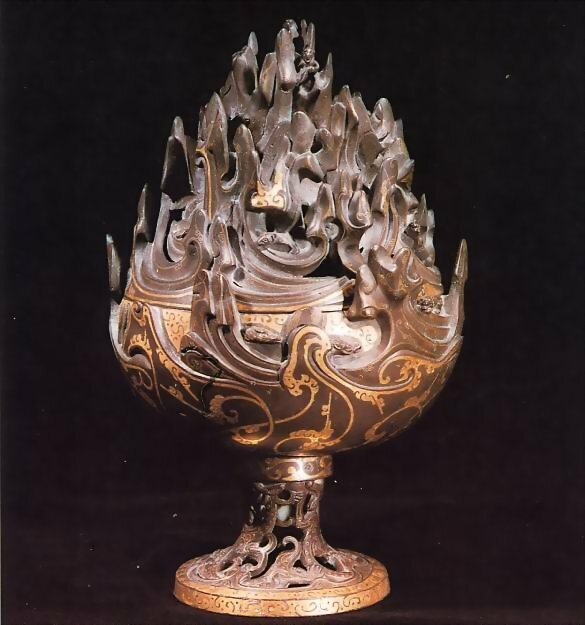 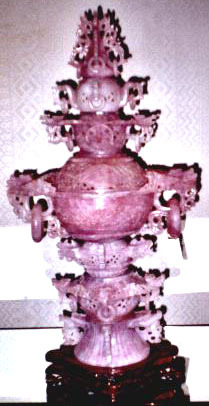 Description: Incense burner made during the Qing Dynasty in China, around the late 17th or early 18th century. 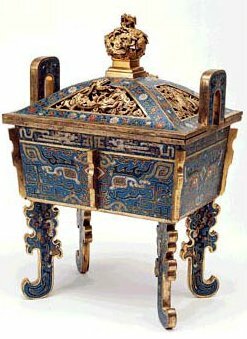 Its shape, called Fangding, is based on an earlier style from the Late Shang Dynasty, the earliest period of recorded history in China. 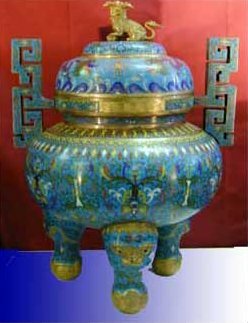 The bright enamel on this piece was applied using the technique of cloisonné. Description: Chinese Celadon Porcelain Incense Burner. 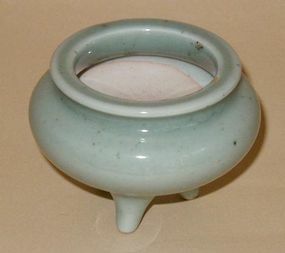 Subtle and refined 19th-century Chinese monochrome porcelain tripod censer or incense burner, Ching dynasty. 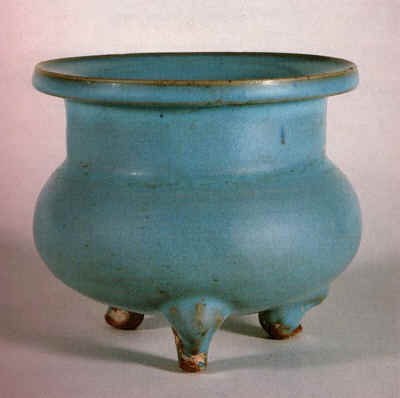 Fine bluish-green glaze. Dimensions: 2 ½” high, 3 ½” diameter.